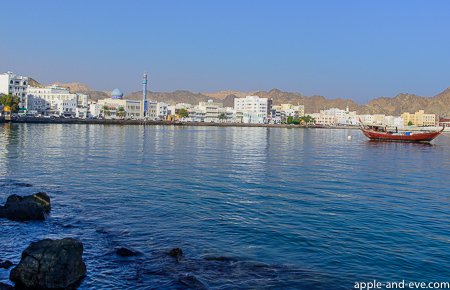 If I can use just one word to describe Muscat, capital of Oman, then “pristine” is that word. We’ve been to Oman before but this time I had two days to look around at Muscat only, something that I thoroughly enjoyed. Jaunine had to go there for business and I used the opportunity to do a bit of exploration. 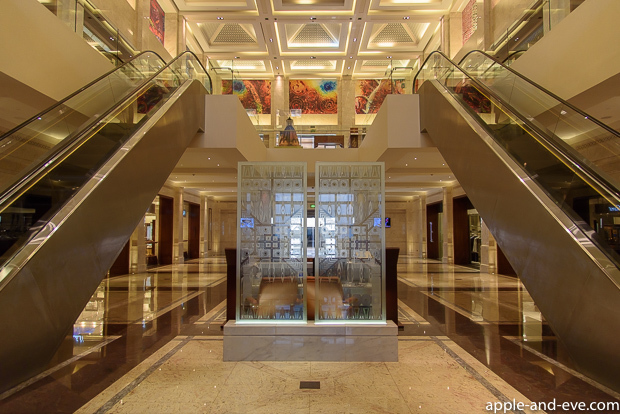 The very first thing we noticed was how friendly and welcoming the Omanis are, shortly followed by an overwhelming impression of neatness and pride. 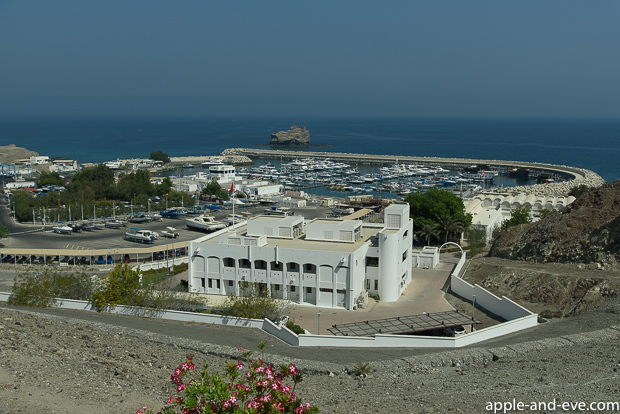 Looking out over the harbour, the Port Sultan Qaboos, I was surprised to see how clear the water was. I could see the fish swimming below, not something that one would expect to see at a harbour! A local told me that fishing from the harbour wall was prohibited to maintain the cleanliness of the area. 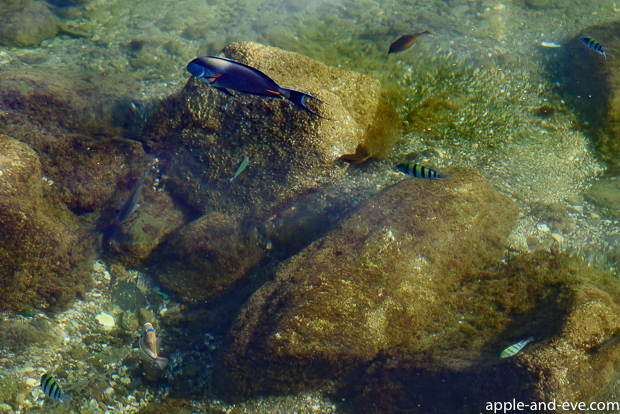 Colourful fish can clearly be seen right next to the harbour wall. 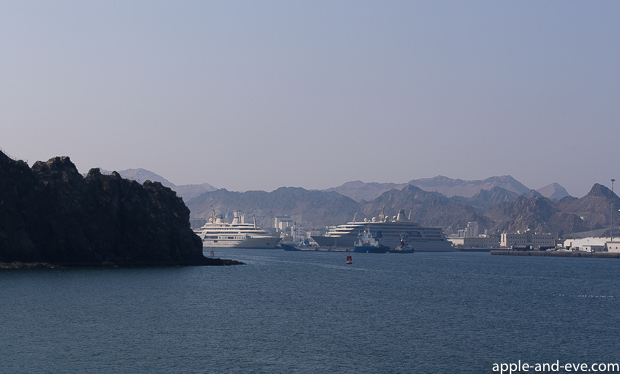 View of the Sultan Qaboos port as seen from the Corniche, the road that runs along the port perimeter. A common sight on the Corniche near the harbour. 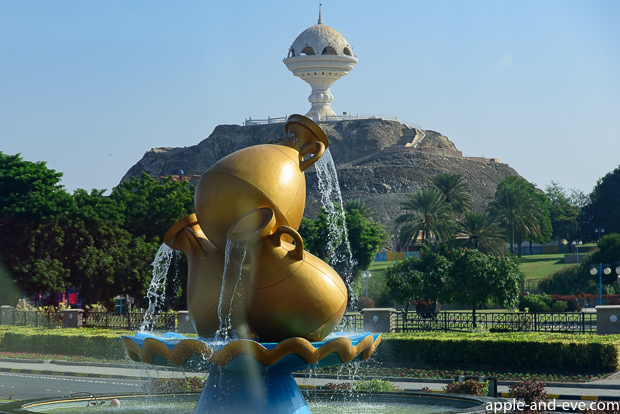 The city is kept in pristine condition and public parks and gardens are maintained with meticulous care, the Omanis are clearly very proud of their capitol. 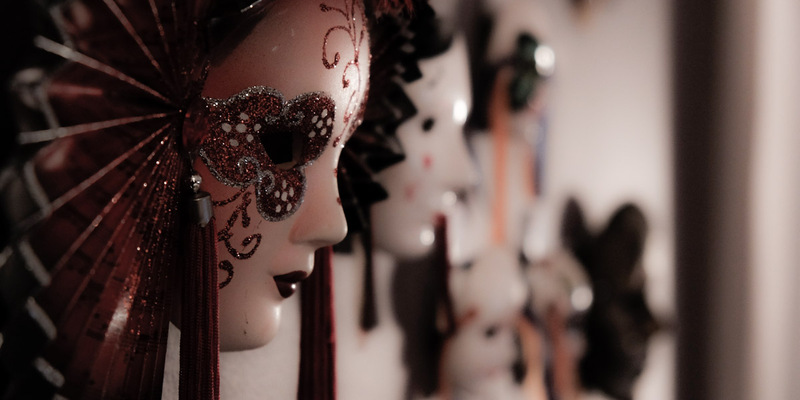 One of the best ways to see the city when time is limited is to use the hop-on, hop-off Big Bus tour. Parliament buildings with mountains in the background. 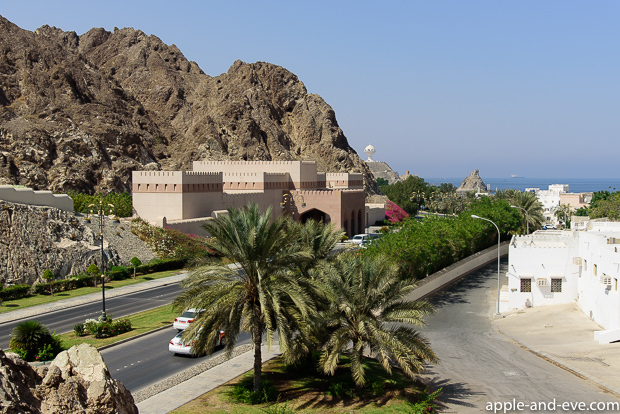 The incence burner at the top of the hill is an iconic symbol of Muscat. 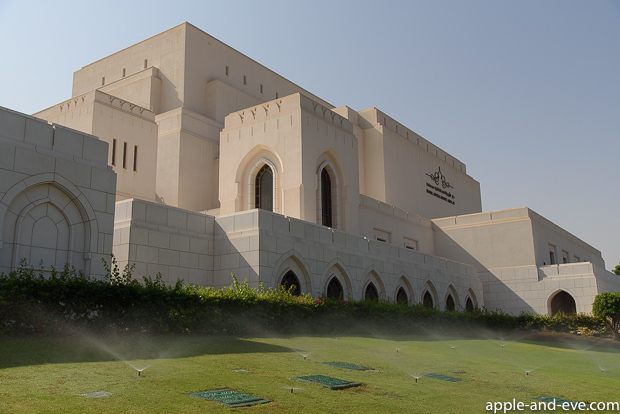 The Al Alam Palace as seen from the steps of the National Museum. 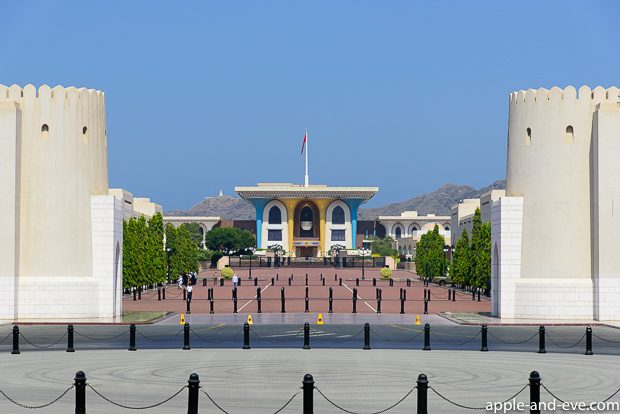 It is surrounded by other government buildings and is situated in the old city part of Muscat. 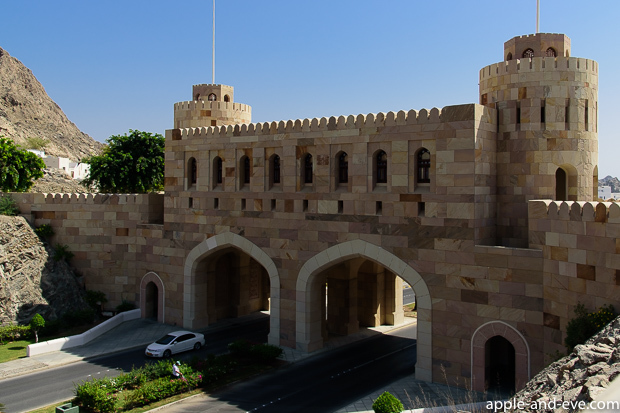 The Muscat Gate. You drive through this gate to enter the old city. 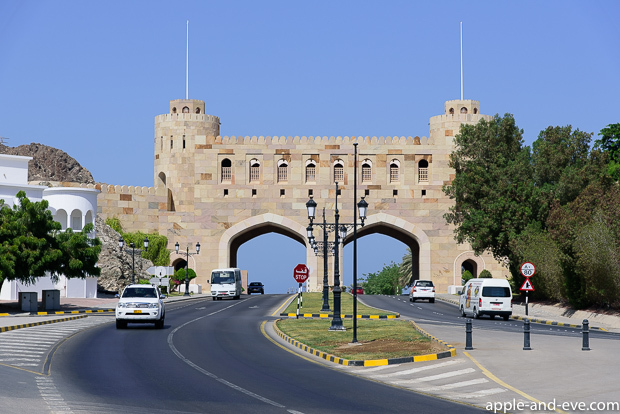 A closer look at the Muscat Gate. The section at the top is in fact a beautiful little museum. 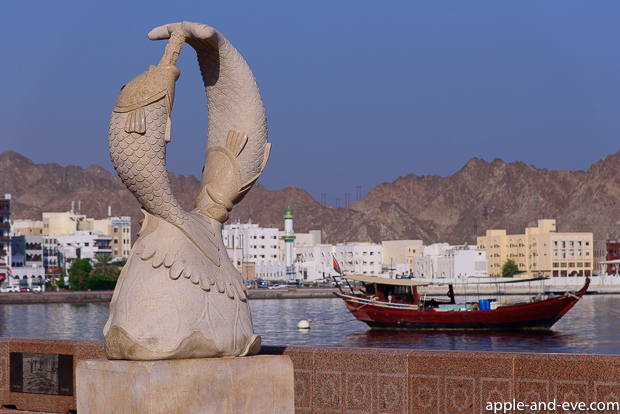 Entry is free, and it contains many historical details of Oman in general, and Muscat in particular. View towards the sea of Oman from the top of the Muscat gate. View over the Muscat marina. 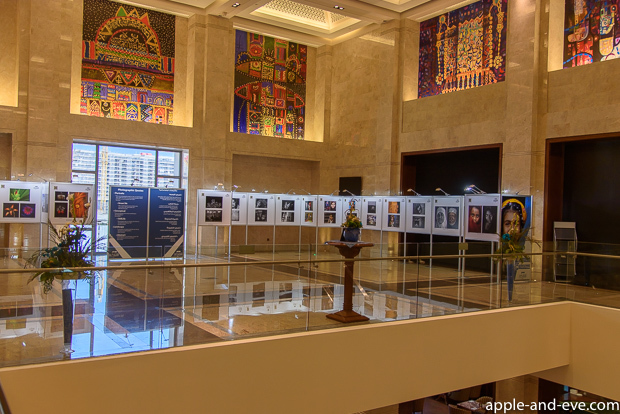 A photo exhibition by the Oman Photographic Society, with beautiful murals in the background inside the Opera Galleria. 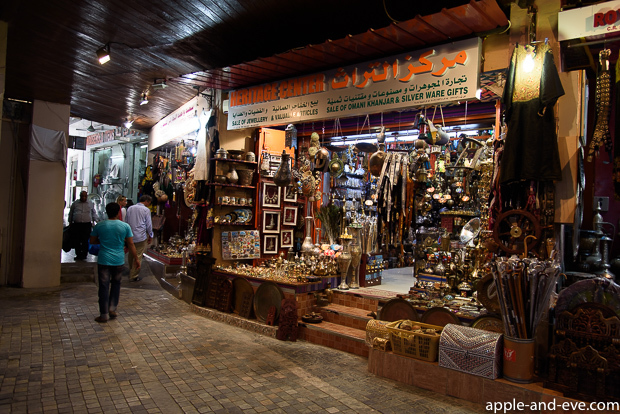 Inside the Mutrah souq, one of the oldest souqs (market places) in Muscat. 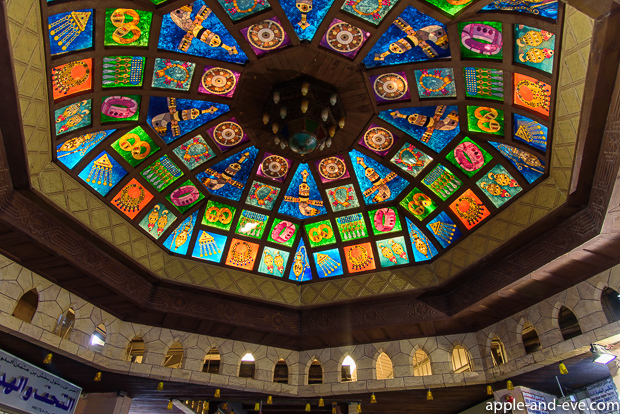 A colourful roof section inside the Mutrah souq. I found the roof of the souq very interesting, and in several places the original roof is still visible. 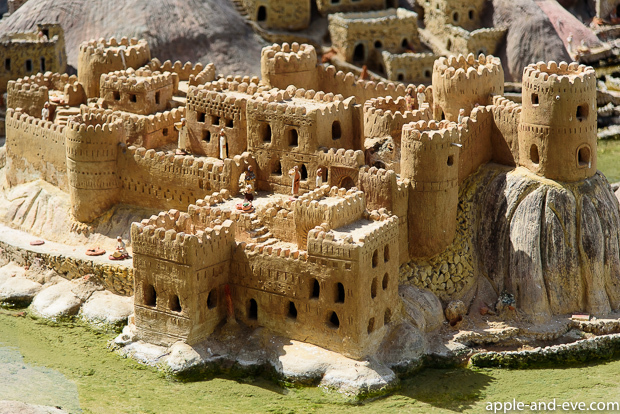 Another museum found in the old city part of Muscat is Bait Al Zubair, where they have a beautiful model of a typical old Oman village and buildings. 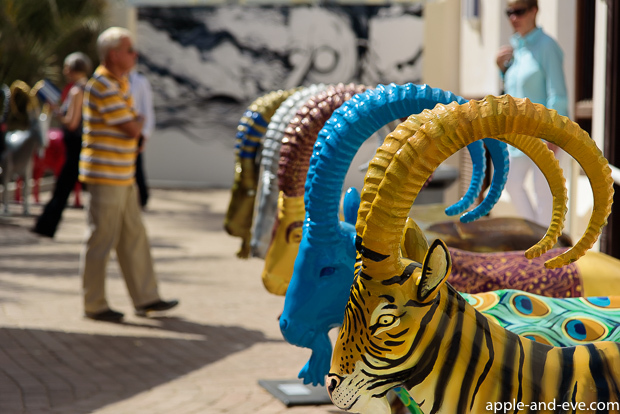 Some of the quirky coloured goats found at Bait al Zubair. The two days in Muscat passed all too quickly and was not enough to see and photograph all that I would have liked to, but I’m sure we will return here!